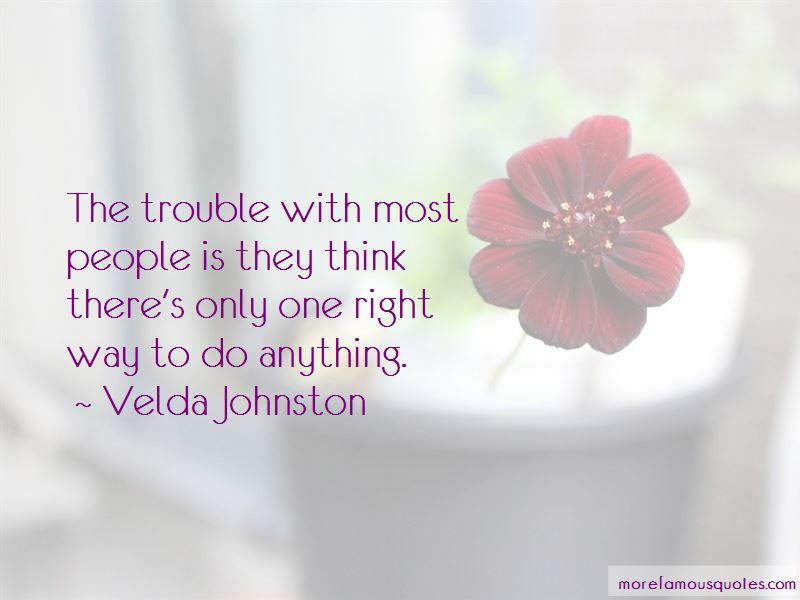 Enjoy the top 3 famous quotes, sayings and quotations by Velda Johnston. The trouble with most people is they think there's only one right way to do anything. Maybe a certain amount of narcissism is as essential to an actress as muscles are to a football lineman. Want to see more pictures of Velda Johnston quotes? 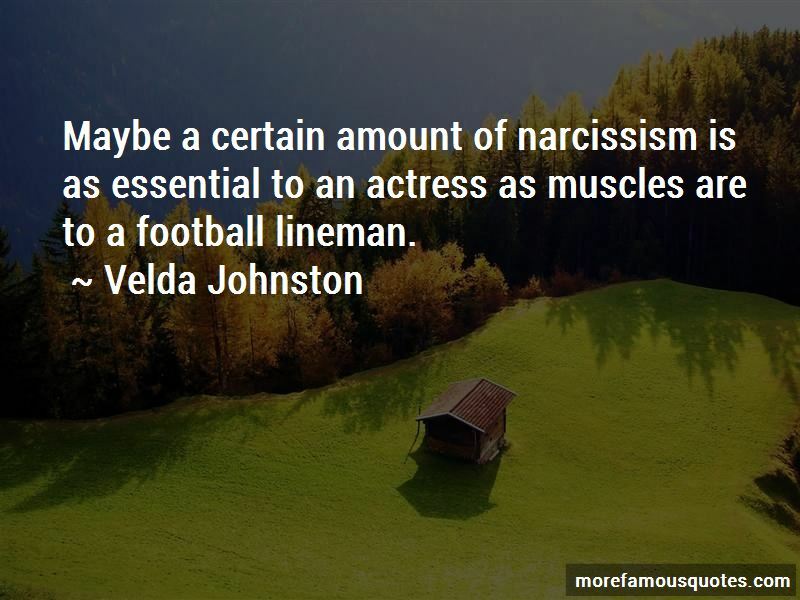 Click on image of Velda Johnston quotes to view full size.